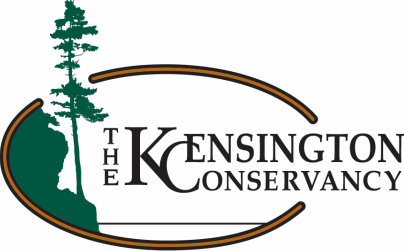 The Kensington Conservancy is conducting surveys for species at risk birds in the Desbarats area during the 2018 field season and providing public education on how these species can be protected. Many of the reasons for the decline of our target species (listed below) are preventable by landowners implementing best management practices. Following the completion of our field surveys, we will be conducting educational outreach initiatives to bring up these issues with landowners and make them aware of what they can do to help protect these species. Check back soon for more information on this. Our survey area includes agricultural areas to both the east and west sides of Desbarats, plus the northern portion of St. Joseph Island. See the map below for the exact boundaries. The data that we collect is being uploaded to eBird, which is where Ontario's Natural Heritage Information Centre draws data on species at risk from. If you observe any species at risk birds, we encourage you to report them yourself to eBird. You can download the eBird app so that you can submit observations on the go. The list of species that are at-risk in Ontario can be found here. For more information on this project, or to learn how you can get involved or volunteer, please contact our Species at Risk Field Technician, Nathan, at nathanearle.tkc@gmail.com or 705-782-2200. Bank Swallow: a number of factors taken together are believed to threaten the bank swallow. These include loss of breeding and foraging habitat, destruction of nesting habitat, widespread pesticide use (that has reduced the populations of insects they eat), impacts of climate change and collision with vehicles. Although activities at sand and gravel pits may contribute to the loss of some nests, the fact that a large number of bank swallow colonies in Ontario are located in sand and gravel pits suggests they also provide important nesting habitat. Barn Swallow: populations have experienced a significant decline since the mid-1980s.While there have been losses in the number of available nest sites, such as open barns, and in the amount of foraging habitat in open agricultural areas, the causes of the recent population decline are not well understood. This bird’s nests are often destroyed when old buildings in rural areas are demolished or fall down. In addition, as farms modernize, many old barns that offered easy access are being replaced by large metal sheds with tight-fitting doors and no windows. Massive pesticide spraying of fields can also reduce the insect population barns swallows need for food. The number of Barn Swallows in Ontario decreased by 65 percent between 1966 and 2009. Eastern Meadowlark: this species increased when forests were cleared in eastern North America. However, as with many grassland birds, Eastern Meadowlark numbers are shrinking due to changes in land use and the loss of suitable habitat that has resulted from development, changes in farming practices, over-grazing of pasturelands by livestock, grassland fragmentation, reforestation and the use of pesticides.Eastern Meadowlarks are also subject to predators, including foxes, domestic cats and dogs, coyotes, snakes, skunks, raccoons and other small mammals. In Ontario, the number of Eastern Meadowlarks has decreased by almost 65 per cent during the past 40 years. Bobolink: populations have declined considerably over the past half century. 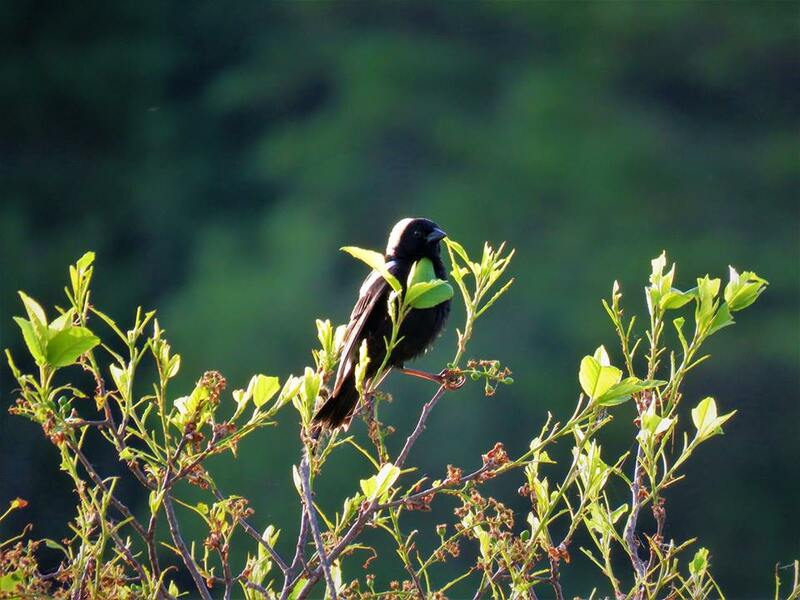 As a wide ranging species that migrates in and out of Ontario, there are likely several causes for this decline, and we need to know more about the threats to Bobolink in this province. Along their migration route and in their wintering areas in South America, they are considered a pest of grain crops. Mowing of hay during the breeding period may inadvertently kill and disturb nesting adults and young birds and destroy eggs and nests. Cutting hay in early to mid July coincides with the time that young birds are in the nest and are not able to fly. In addition, the quality of Bobolink nesting habitat has likely declined over time due to modern hay production practices such as earlier maturing seed mixtures and shorter crop rotation cycles. If you're a landowner who has hay fields, take your hay off later! Delaying your harvest until July 15th has a huge impact on the survival of Eastern Meadowlarks and Bobolinks. If you are a farmer with cattle and hay fields, implement rotational grazing practices! Rotational grazing may improve your farms efficiency, and lower costs!You can even be compensated financially for doing so. Learn more here.